Also I am thrilled to be adding this gift holder to a challenges blog over at Heart2Heart Challenges Blog. 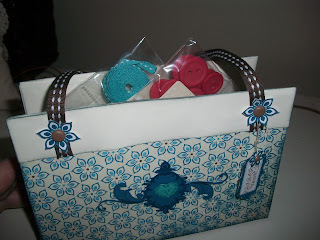 If you haven't been to this blog it's a must see, Close To My Heart Consultants share their love of stamping and creating for all to see. This weeks challenge It's a Gift Week!!! 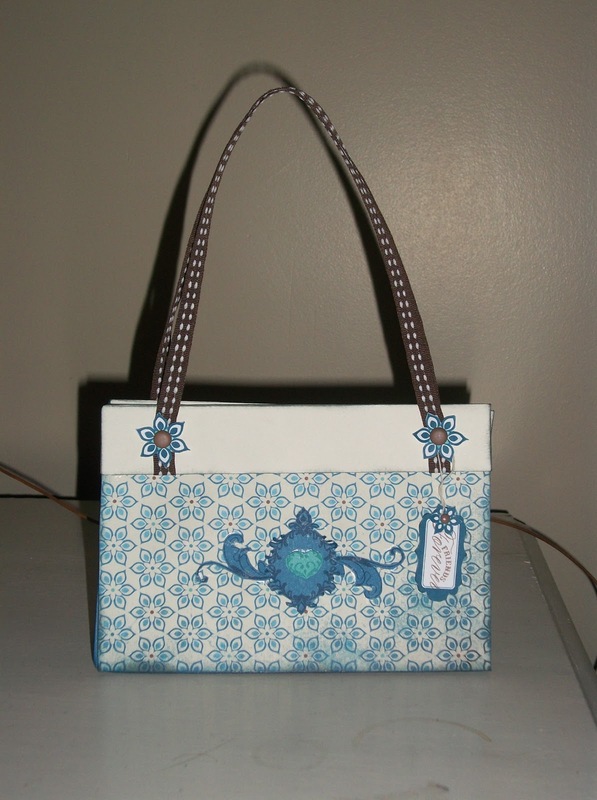 She showed me how to create this cute purse gift tote, I just love it, turned out super cute with CTMH Magnifique papers. 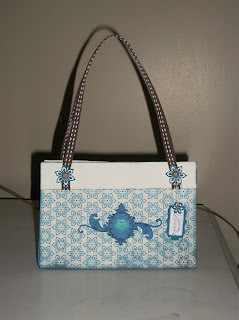 Here is a close up of the purse, and a sneak peak at the gift inside. 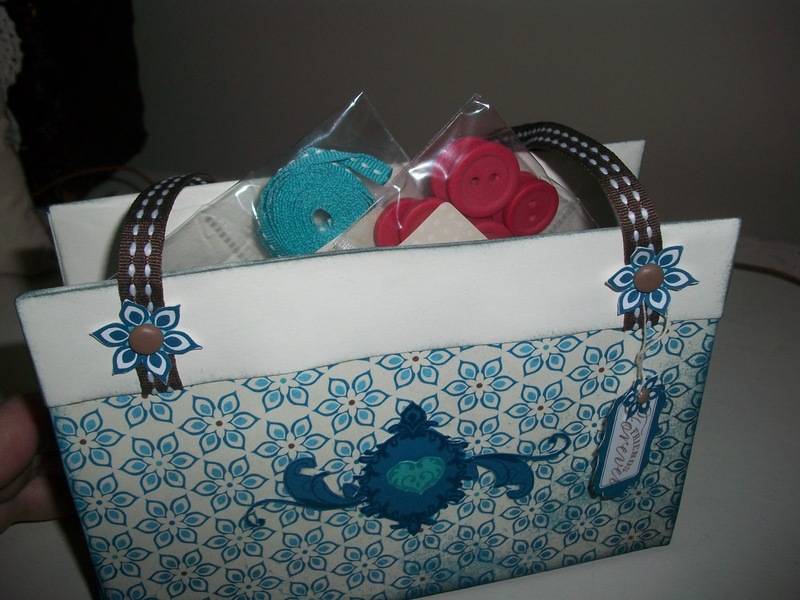 shhhh it's some CTMH embellishments. 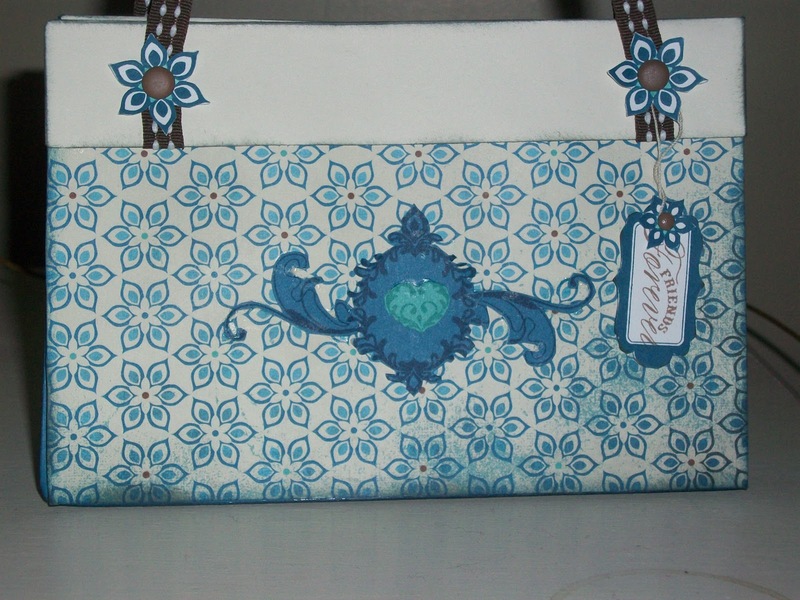 Any one would love to receive this purse filled with goodies for Christmas, birthdays, mothers day, or just a thank you gift. This is a great gift. 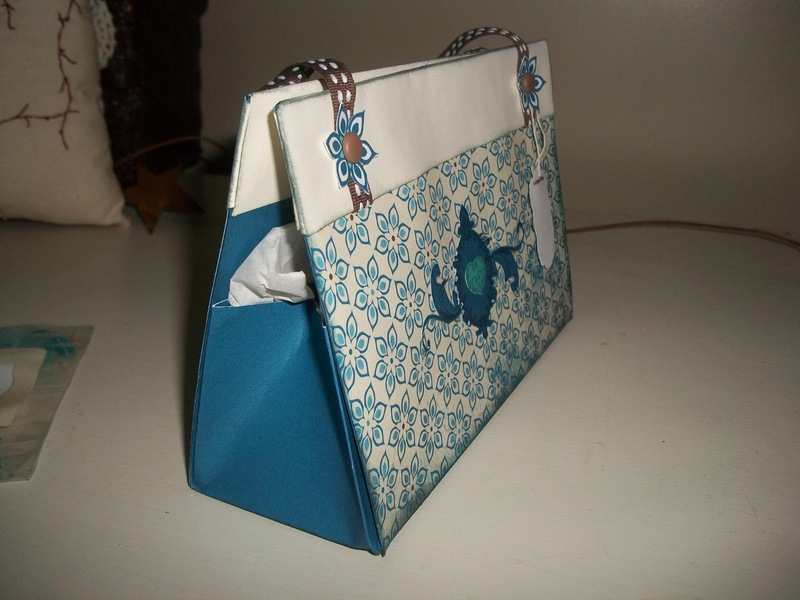 I love purses made of paper and I know so many people who would love to get this gift for any occasion. Very, very cute. Awesome project! 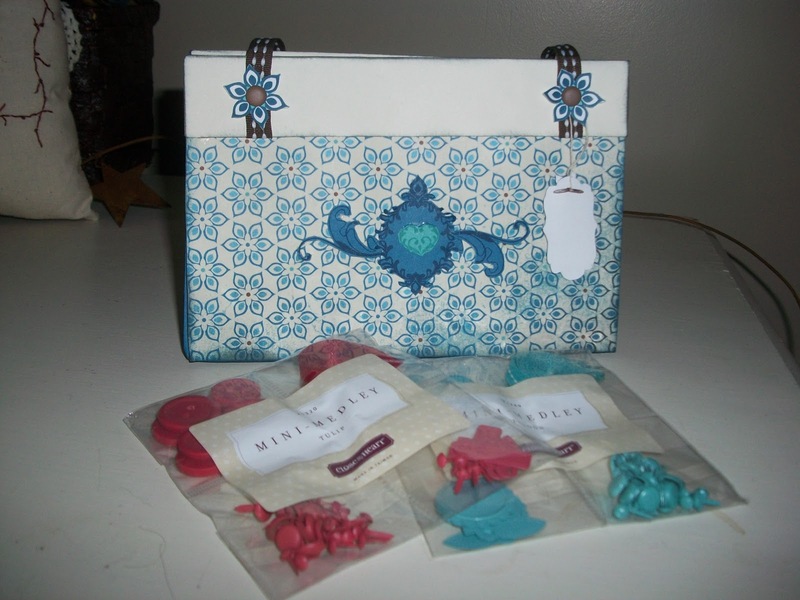 What a wonderful way to dress up a gift, or simply give this as a gift! Super creative! Thanks for playing along with us at Heart 2 Heart challenges! This is too cute, who would not love to get this as a gift? Thanks so much for joining us at H2H!